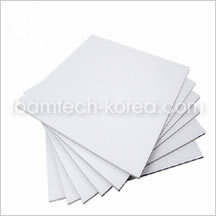 The machine is designed to bond PS foam sheet to PS foam sheet in multi-layer up to seven-layer at a time to get PS foam boards with high thickness up to 50mm and density 28.9kg/㎥ through a second-expanding & bonding process. 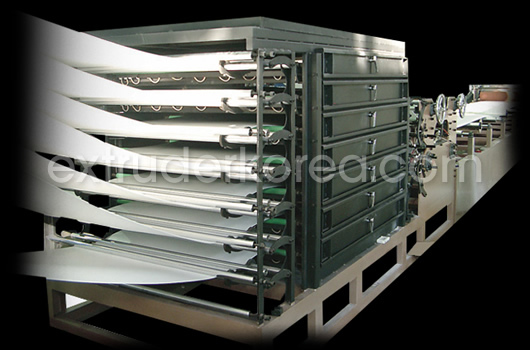 The second-expansion oven specially-designed for optimal second-expansion of the PS foam sheets after its 1st expansion while extruding, incorporates a key technology. Automatic Length Cutting Unit controlled by Servo motor is designed to cut PS foam board out the required length with nearby zero tolerance. Thermal insulation like wallpaper, carpet under-layer. Education materials, decoration objects, advertising board. 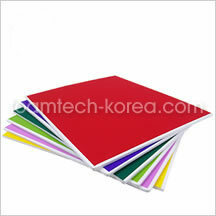 Copyright © www.foamtech-korea.com. All rights reserved.